It's time for the Spring 2013 season of Texas Heat! 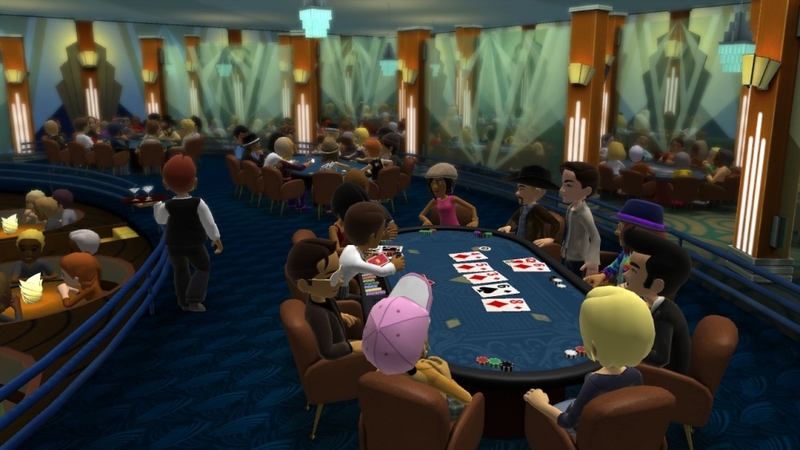 Texas Heat is a regularly scheduled, fast-paced poker game that brings thousands of players together at the same time. 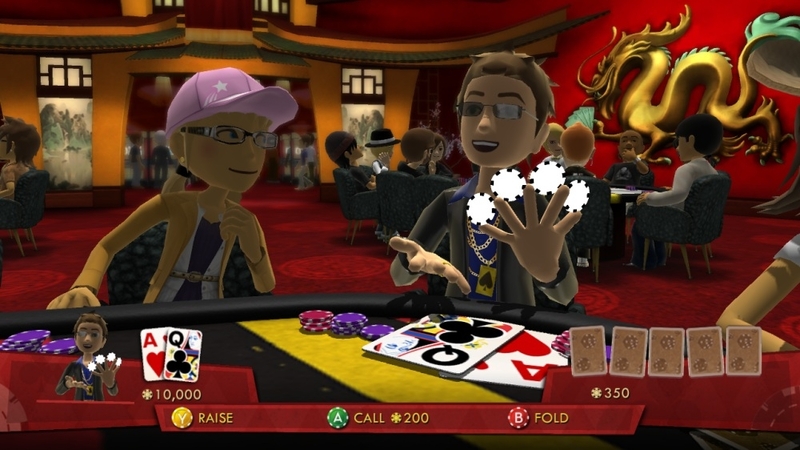 You’ve got thirty minutes to bluff, bet, and raise your way to the top table in this unique, new poker game show! Texas Heat, our fast-paced poker game show, brings thousands of players together on a regular schedule for a unique new poker game show! 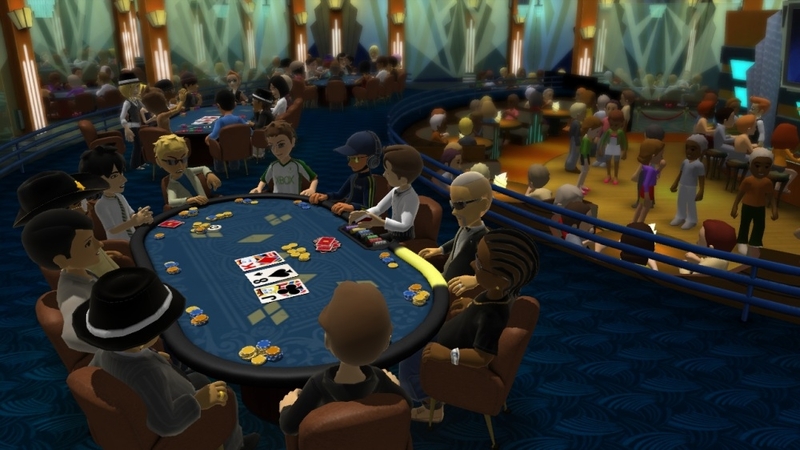 You’ve got 30 minutes to bluff, bet, and raise your way to the top table, earning experience points, chips, and unlockable rewards to customize your avatar and your game. 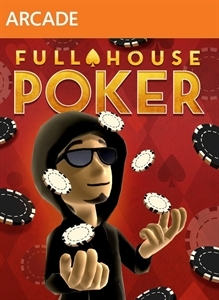 See what happens when you go all-in with Full House Poker in this lively features trailer! 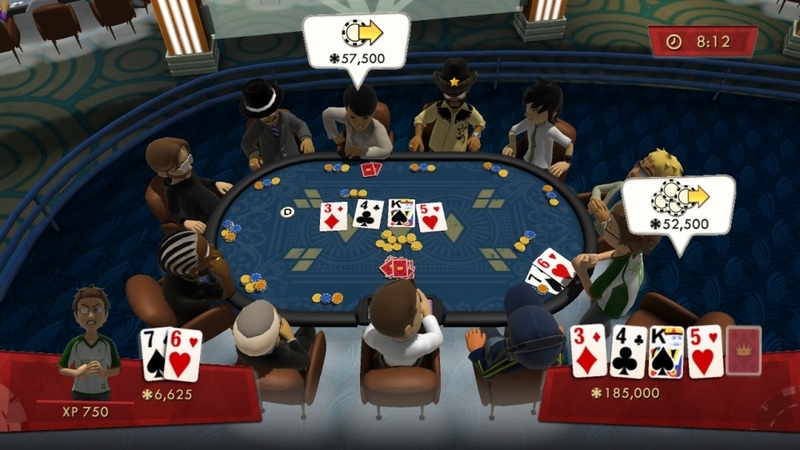 Play Texas Hold 'Em against your friends and thousands of players worldwide, and bring your personality to the table with unique tells and unlockables galore. Save your player progression and winnings between sessions as you increase the stakes and make your mark as a Full House Poker pro! Texas Heat, our fast-paced poker game show, brings thousands of players together on a regular schedule for a unique new poker game show! 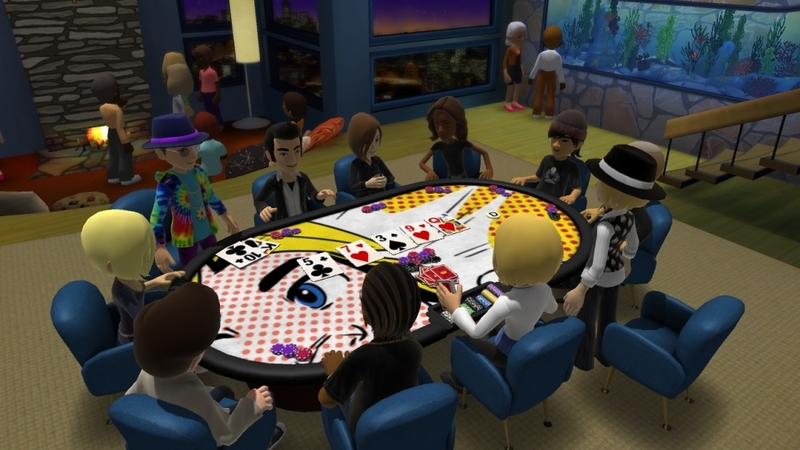 You’ve got 30 minutes to bluff, bet, and raise your way to the top table, earning experience points, chips, and unlockable rewards to customize your avatar and your game. It's the Year of the Dragon every day with the exotic, wrap-around Dragon's Den T-shirt. Become one of the dogs playing poker with this pedigreed Beagle Helmet! Show 'em you've got style, in spades, with the striking design of the Starlight Lounge T-shirt. Take your fish tank on the go, and keep the cool, soothing vibe going with the Penthouse T-shirt. Make the table respect you! Watch your avatar perform the Knuckler, Anti-Grav, and Spinner chip tricks. 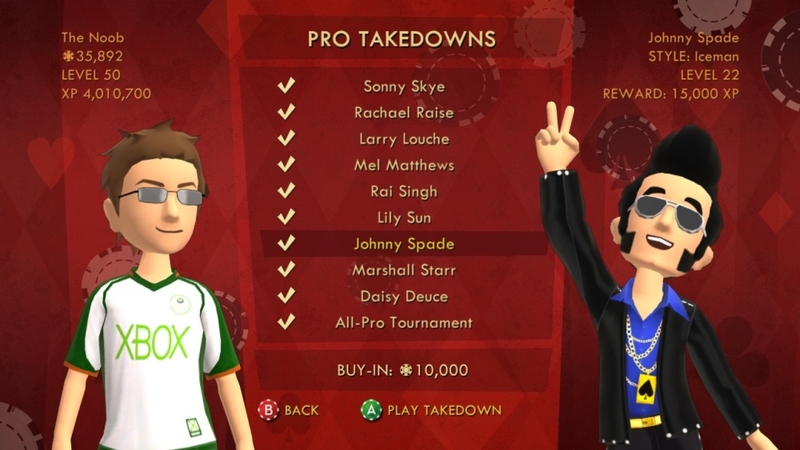 Amaze your friends as your avatar pulls off the Butterfly, Rainbow, and Behind the Back chip tricks! Time for a little magic! Have your avatar try out the new Jugglernaut, Nothing Up My Sleeve, and Heads or Tails chip tricks! Protect your dome and drown out the haters at the same time. From the front, you're all business, but from the back, people can see what's on your mind. 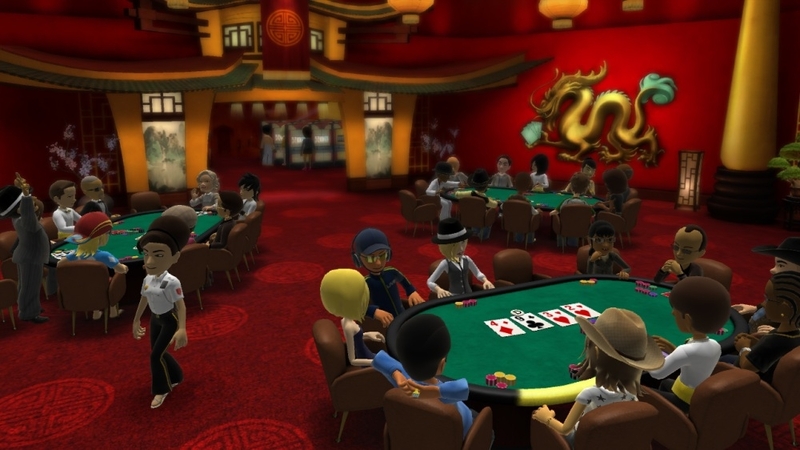 Bet your way to fame and bring your personality to the table when you play Texas Hold 'Em against your friends and thousands of players worldwide.